The Arts Group of Union Avenue (AGUA) is sponsoring a juried art show in August 2016 entitled DOUBT. This exhibit is open to submissions by 2-D artists and 3-D sculptors and mixed media artists (gallery not equipped for video). Works displayed in previous AGUA exhibits are not eligible. 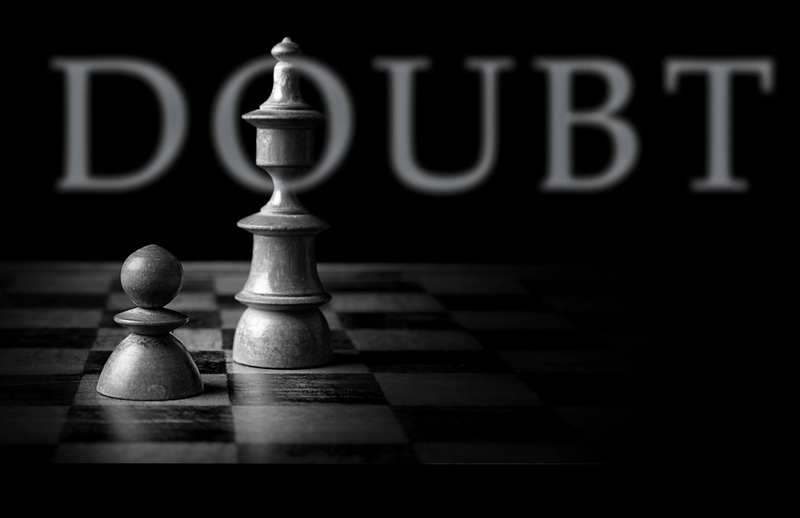 As a play, Doubt won a Pulitzer Prize and a Tony Award. As a movie, it secured four Oscar nominations. This summer, Union Avenue Opera (UAO) performs Doubt (a modern American opera), which, according to the playwright who collaborated with the composer, provides the story’s fullest telling. UAO is thrilled to have Christine Brewer starring in the principle role, which she created in its world premiere at Minnesota Opera. What happens when you’re unsure? What does it look like? What do you do? How do you communicate a sense of unease, whether it is an internal debate or a difference between people? According to the opera’s composer, Douglas J. Cuomo, sometimes it’s just a matter of adding even one thing to unsettle the traditional. You get a sense of familiarity, an attractive view, but there’s also this other aspect that doesn’t belong. You have these two things happening at once that together add up to something that’s slightly unsettling or off-kilter. Using your own emotions, doubts, and suspicions as a focal point or backdrop, let your visual art express the deep need to trust, be confident, have certainty and conviction, and yet tolerate ambiguity, shades of gray. Be creative in selecting an artistic style, from abstract to realism. This exhibit will be on display from August 19 – September 11, 2016, in the newly renovated Gretchen Brigham Gallery and in conjunction with the Union Avenue Opera’s performances of Doubt on August 19, 20, 26, & 27. Patrons of the opera will have the opportunity to view and purchase your art during the entire exhibit. To download the CALL FOR ART, including requirements, forms of entry and exhibition timeline click here.